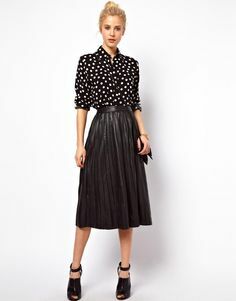 Midi skirts are calf leinght,they are type of skirt's that this season is most poular in box plated or accordion plated style and high waisted. 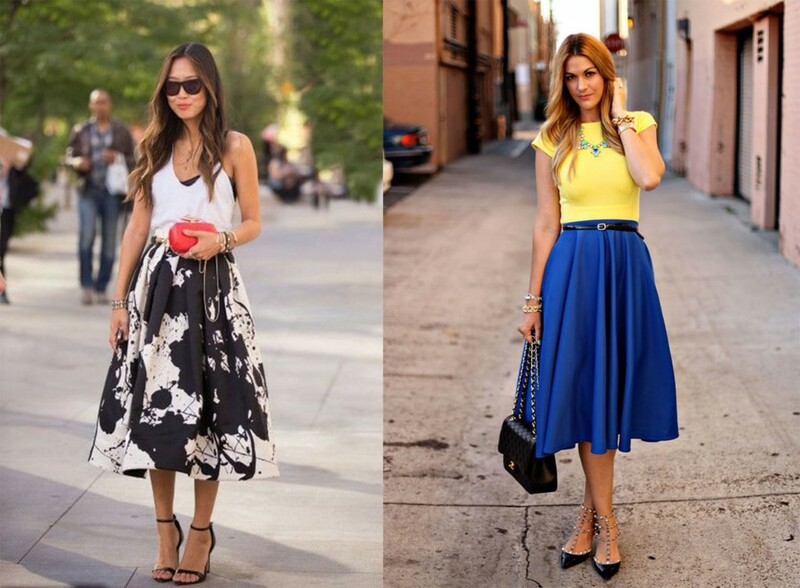 Street style this season is packed with them,they are trend evolution from maxi skirt wich was popular throughout last season. 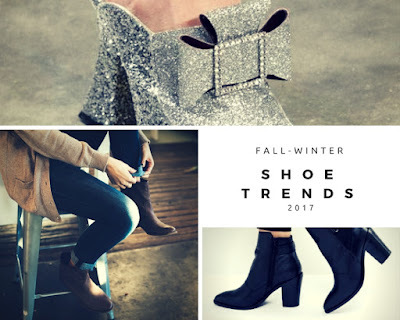 They are very ladylike, and from every combination they will make it very femenine,so no matter the amount of dark colores and leather you put on yourself,you will oose female energy.